A guide to assist students looking for information about cancer for their PSA project. At the main AVL menu, choose VIEW ALL DATABASES, and then chose Academic Search Premier (first choice). A multidisciplinary database with both academic and more accessible articles on all topics – not just science. Easy to use database of articles, biographies, briefs, media and more. Published by McGraw Hill. This database give basic info on all topics . The articles are from digitized reference books. We have most of the print versions of the reference books in the Library. At the AVL page,, choose VIEW ALL DATABASES and scroll down to Health Source: Consumer Edition. A great mixture of academic article, magazine articles (like Time and Newsweek), and periodicals (like Prevention). Not specifically a science database, but has a multitude of academic articles, popular magazines, videos, etc on all topics. 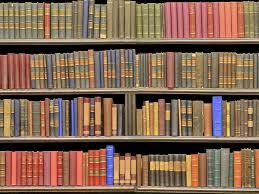 This is a collection of digitized health reference books. Good background articles on details of certain conditions. Very academic and scholarly articles written at college level in all disciplines. A good starting point for Cancer info. Learn a little bit about PSAs and how they work. A guide to citing many of the resources you will use while doing research at Randolph School. Based on the latest MLA Handbook - Version 8. Graphs, charts, etc that teach about Cancer.